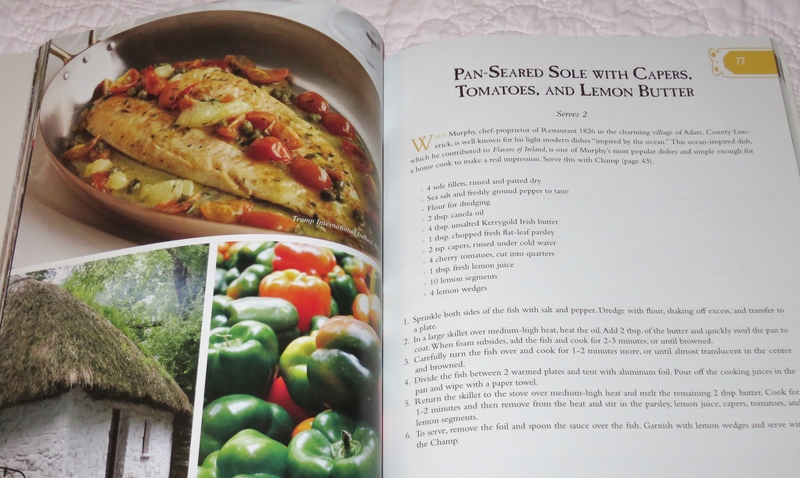 Margaret M. Johnson’s Favorite Flavors of Ireland is a cookbook that inspires me to cook more Irish food! The book has items for every course, featuring dishes such as salmon cakes, steamed mussels, roasted asparagus, and Irish cream cheesecake. When I think of Irish food, I often think of potatoes, and this cookbook includes plenty of potato options, including Dauphinoise potatoes, roasted potatoes, and blue cheese potato cakes. The book has beautiful and colorful photographs of the meal items, showing what the meals look like close-up. The step-by-step recipe directions are clear and straightforward. Some of the recipes use more butter than I would personally use, but if I were to make these meals, then I would just modify the butter and follow the rest of the recipe. The desserts, which include nutty brown bread and marmalade pudding, look very savory. With St. Patrick’s Day coming up, it was fun to learn more about my part-Irish heritage through the authentic dishes featured in this book! You can find Favorite Flavors of Ireland here.